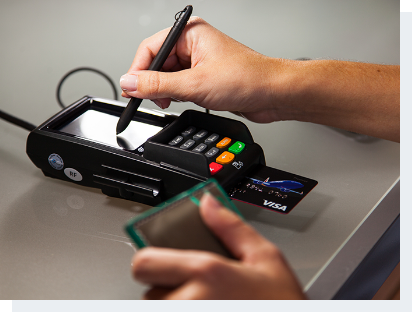 From capturing electronic signatures to offering the latest in security for chip and PIN, the PAX S300 equips your store with essential retail features, all secured through Bluefin, the same P2PE connection you’ve come to trust. 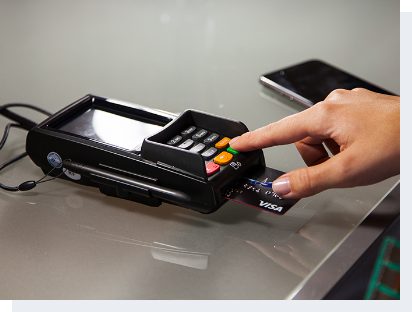 Bluefin Payment Systems offer several key solutions to complex business issues. P2PE, or Point-to-Point Encryption help keep cardholder data secure within RepairQ. Transparent redirection removes the middle-man when checking for authorizations via the internet, creating faster, more secure payments. Finally, tokenization enables RepairQ to perform refunds, returns, and recurring billing without the customer’s credit card number.